A Virginia Tech study finds a soapy pan under a light will attract and kill more stink bugs than a commercial trap. 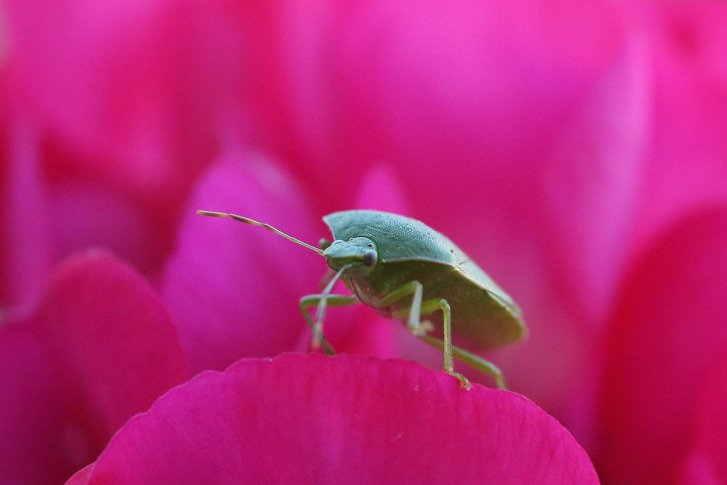 WASHINGTON — Warmer weather will bring out stink bugs from cooler hiding places. To get rid of them, researchers at Virginia Tech found homemade stink bug traps work better than store-bought traps. A pan of soapy water under a desk lamp attracts and kills 14 times more stink bugs than commercially produced traps that can cost as much as $50, the study finds. The study was conducted in 16 houses over two years. It’s the first time the solution was tested scientifically. The findings will be published in the Journal of Extension. “We knew that insects are generally attracted to light, so we were able to exploit that with these traps,” said John Aigner, a doctoral student in the Virginia Tech Department of Entomology. The soapy pan method has two advantages. It’s inexpensive and pesticide-free. “Currently there are no in-home insecticides labeled for use against brown marmorated stink bugs,” Aigner says. Stink bugs now are in 41 states and first began showing up in the mid-Atlantic region in the late 2000s. The crop-munching pests are proving costly to farmers growing apples, peaches, grapes, soybean, peppers, tomatoes and corn. Stink bugs have caused millions of dollars of crop damage. The in-home eradication method isn’t practical though for use outdoors. Aigner told WTOP Virginia Tech is working to develop other types of traps that might help farmers. This year he is starting a project involving pheromones and stink bugs. “We’re going to try to correlate our trap catch to damage in vegetables to see if it’s effective in controlling stink bugs in an organic system, but also if we can use this as a monitoring tool for conventional farmers to alert them as to when then need to put on applications or just alert them to the presence of stink bugs,” Aigner said. Stink bug trap – Virginia Tech from virginiatech on Vimeo.